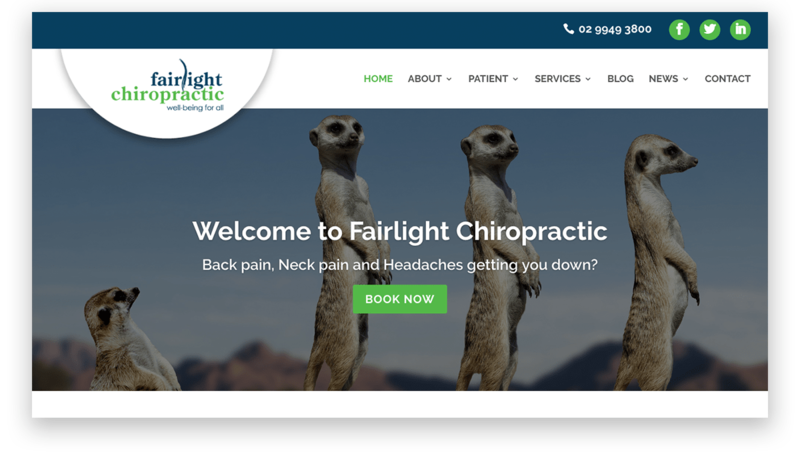 Dr. Andrew Iggo (Chiropractor) from Fairlight Chiropractic came to us looking for an update to his older style website. 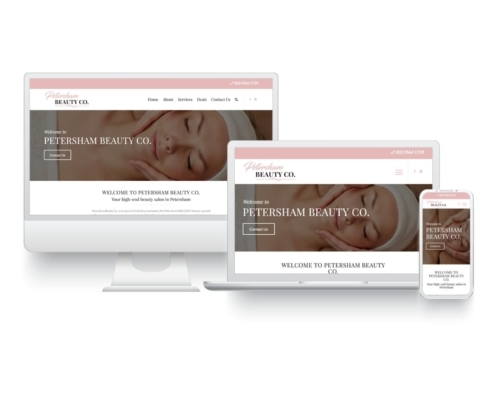 He needed a fresh new design that encouraged visitors to take action as well as a site that would convey both his message and personality. 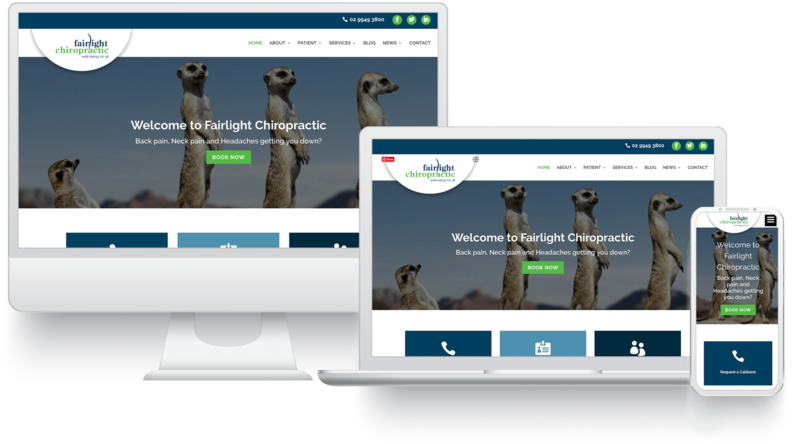 We created a responsive, touch-friendly design that puts chiropractic front and centre. 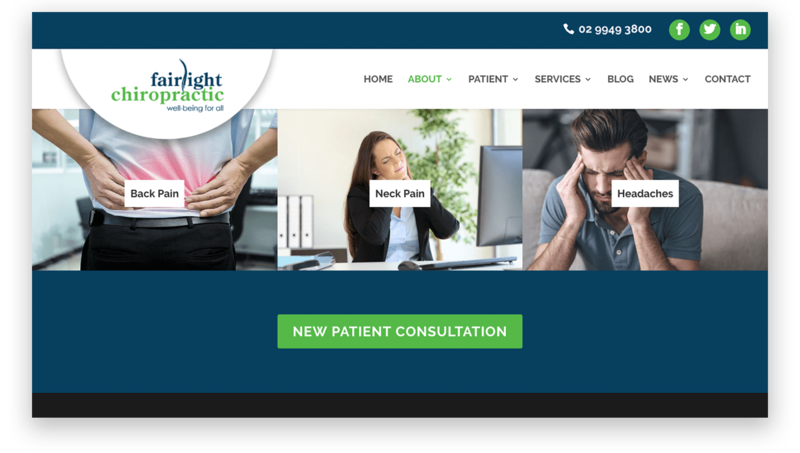 From prominent contact details in the header to a consistent use of his brand colours throughout the site, this design serves his clinic well. 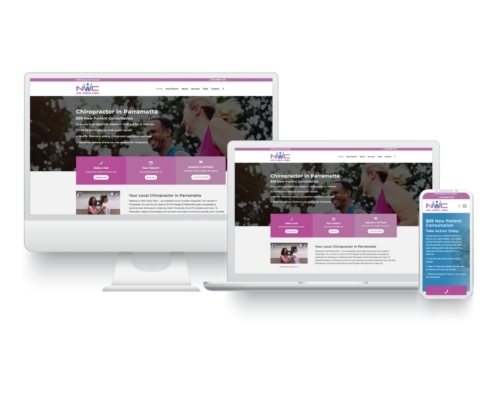 The home page features a conversion boosting row of contact features, making it super easy for potential patients to make contact. 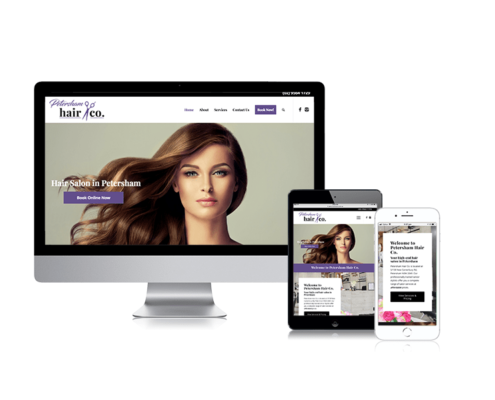 From a pop-up contact form to an online booking platform, visitors can choose their preferred method of making contact. 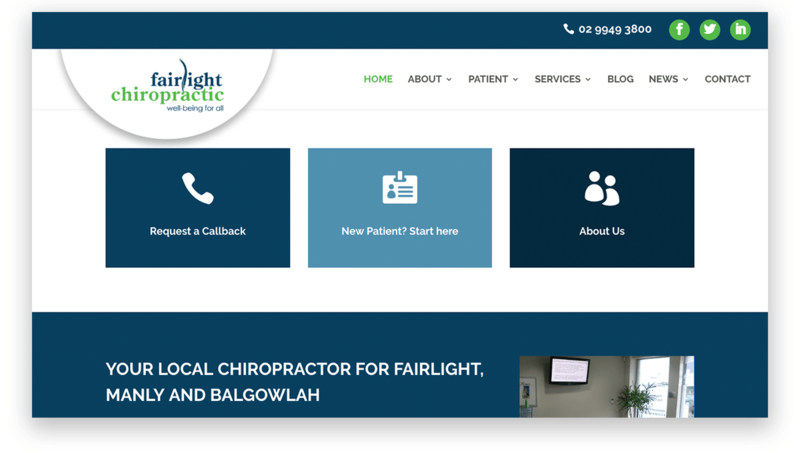 Every page features visual click-throughs to ‘commonly helped’ condition pages while also integrating with the clinic’s online booking system. 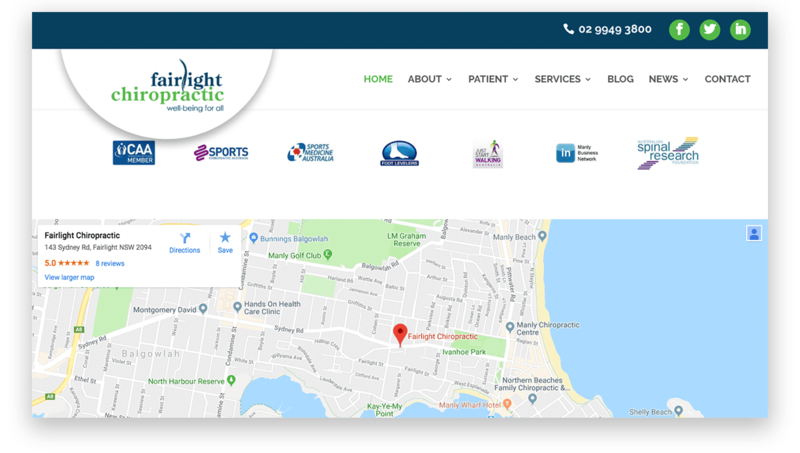 Dr. Andrew’s Google Maps listing was integrated into the site design and is featured throughout the site.